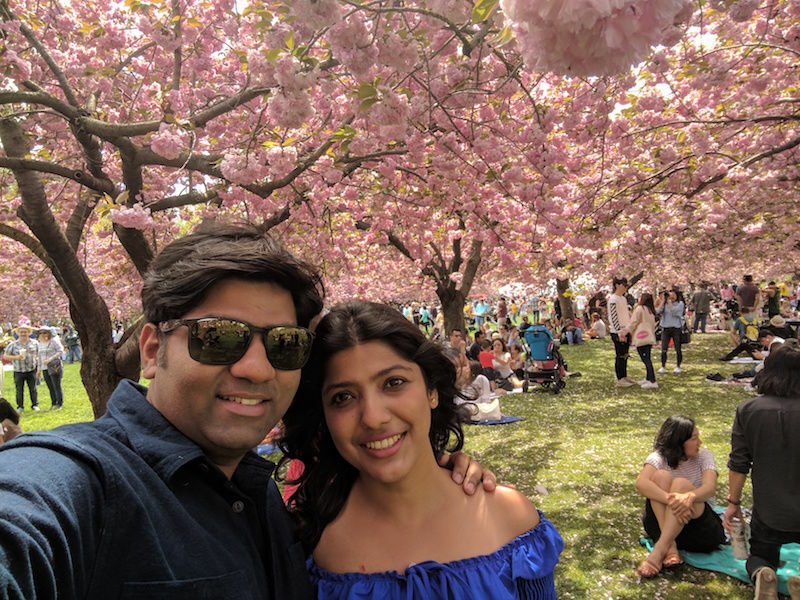 The fluffy blossoms at Cherry Esplanade was showering us with petals on a slight breeze. Thousands of Cherry Blossom lovers had gathered to celebrate the Spring Blossoming of Kanzan Cherry Trees. We also sat on the fallen blossoms that had touched the green grass under the canopy of Cherry Trees. The Sunshine was trying to peak in but the 70+ Cherry Trees lined at the esplanade were adamant to give it a fight. 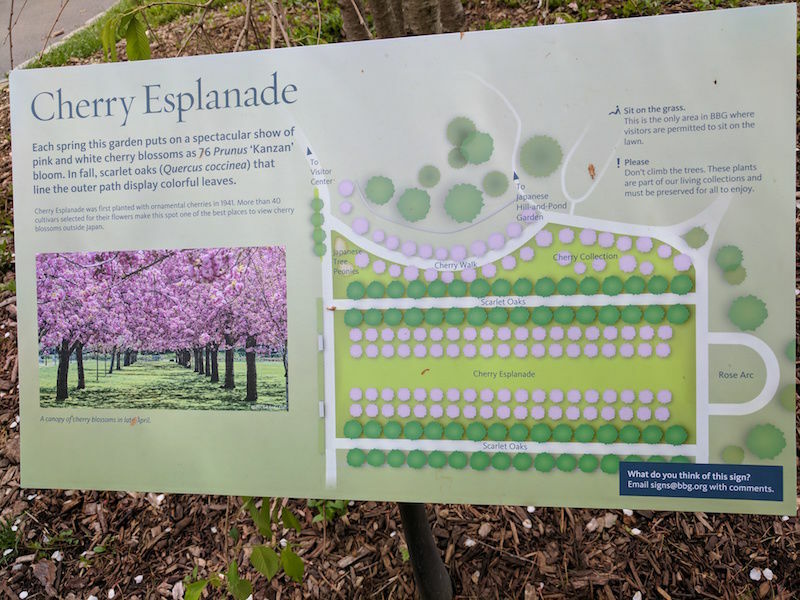 There are 76 Cherry Trees in the Esplanade and around 200 in the garden. 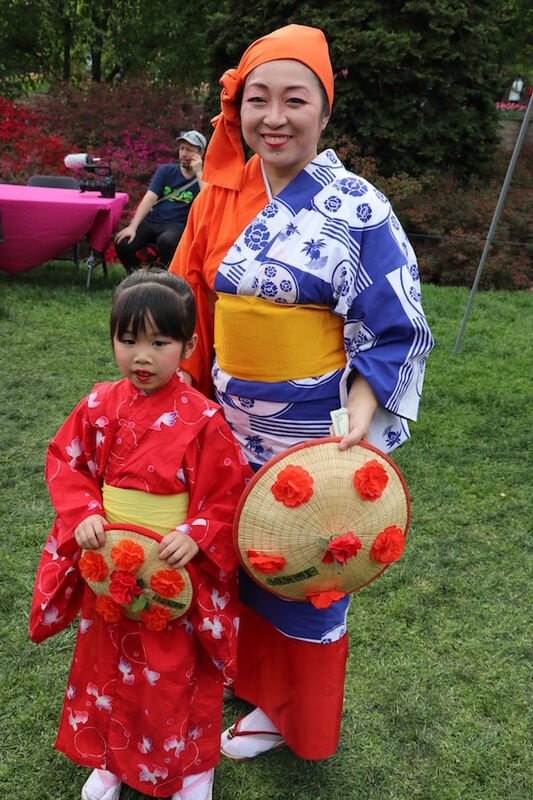 Sakura Matsuri is an annual Cherry Blossom festival that happens at Botanic Garden that offers 60+ events and performances to celebrate Japanese Culture. The festival marks the end of hanami, the Japanese cultural tradition of enjoying each moment of the cherry blossom season. Performances such as Tokyo Rock duo , Martial Arts, Colorful Kabuki Buyo dance, Tokyo Magic Show etc was there. Everyone seems to know about the Cherry Blossom Festival as there were plenty of folks at the venue. There was a flower hat dance(Hanagasa Odori) with the Japanese Folk Dance Institute on Saturday and on Sunday we have Iyomanzai(life celebration dance). 1)The timings of the festival is from 10-5, please arrive as early as possible. 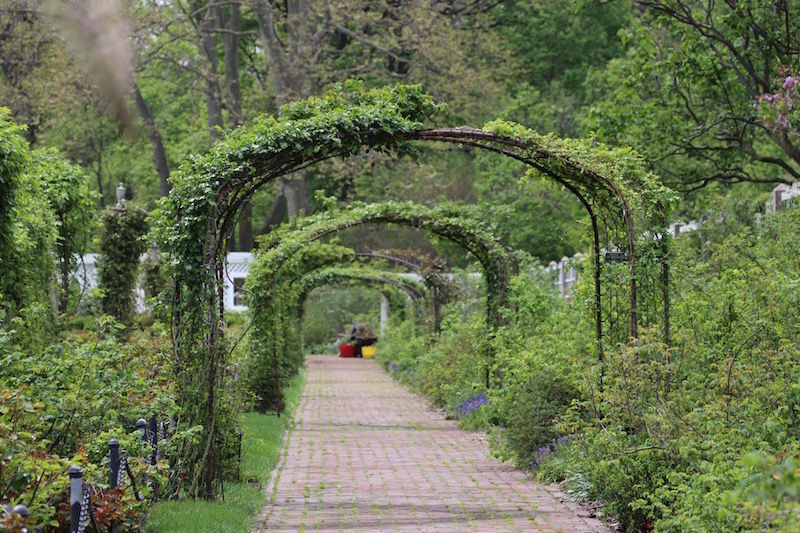 2)The easiest way to get to Brooklyn Botanic Garden from Manhattan is by taking Subway No 2,3. 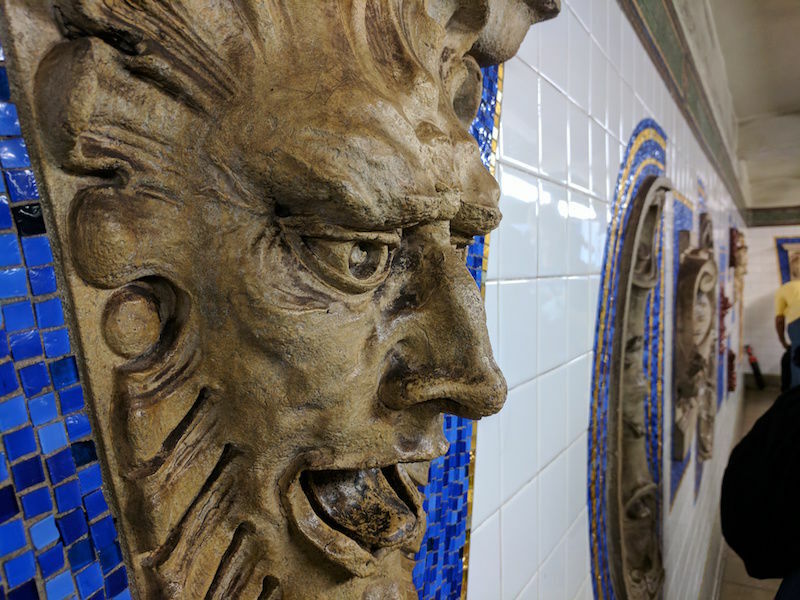 The nearest station is Eastern Parkway Brooklyn Museum. Do have a look at the walls in the station, they are amazing. 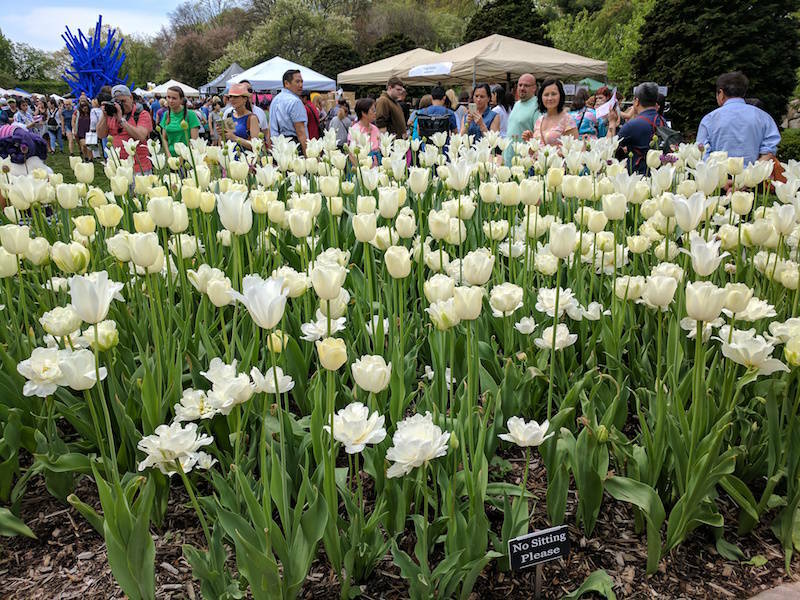 3)To avoid impromptu long queues for the event please register as a member online or offline ($50 - free entry at all times to Brooklyn Botanic) or buy ticket online ($30). 4)Do not forget to grab the pamphlet that has program schedule. 5)There are two stages in the venue - The Main Stage at Cherry Esplanade and J-lounge Stage at Osborne Garden. 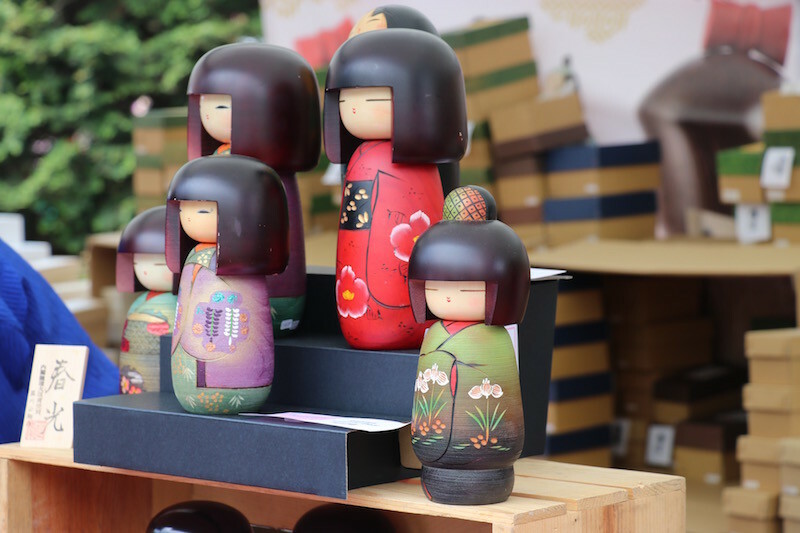 6)Osborne Garden is where we have many shops that has Kokeshi Dolls, Hair Ornaments, Japanese treats, Sushi Pillows, Fine Tees, Pottery, Kimonos. 7)Sakura Eat in the Osborne Garden is where you can have festive selection of Bento Boxes, ramen, Sake Cocktails and Japanese Snacks. 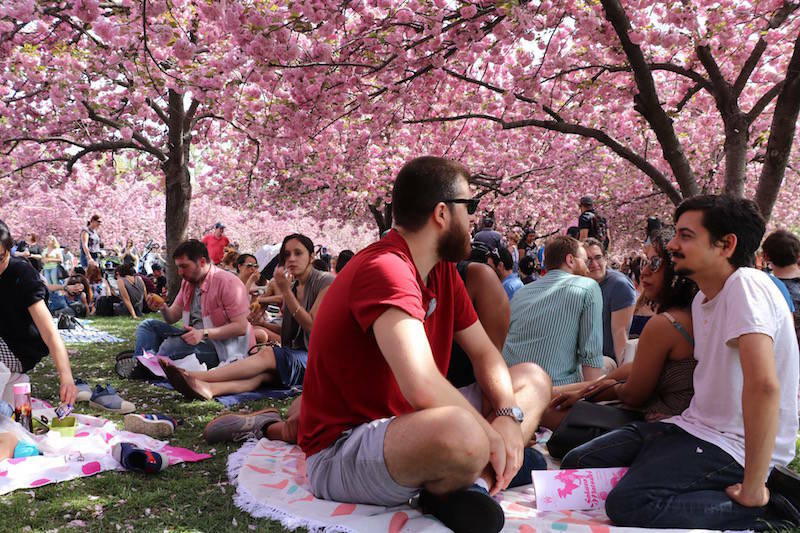 8)If you happen to miss the festival, a very good idea to go to the park before or after the festival to view the cherry Trees. That ways the crowd also would be less. 9) It was sunny and hot yesterday. So carry sunglasses and a sheet to use when sleeping under the trees. So let's take you live from the venue. Let's also take you to Sakura Matsuri with my photoessay. I'd be sharing complete vlog and many more pictures from my camera in my next blogpost this week :) This post is for all those who plan to attend it today, please do, its worth going and do arrive early. 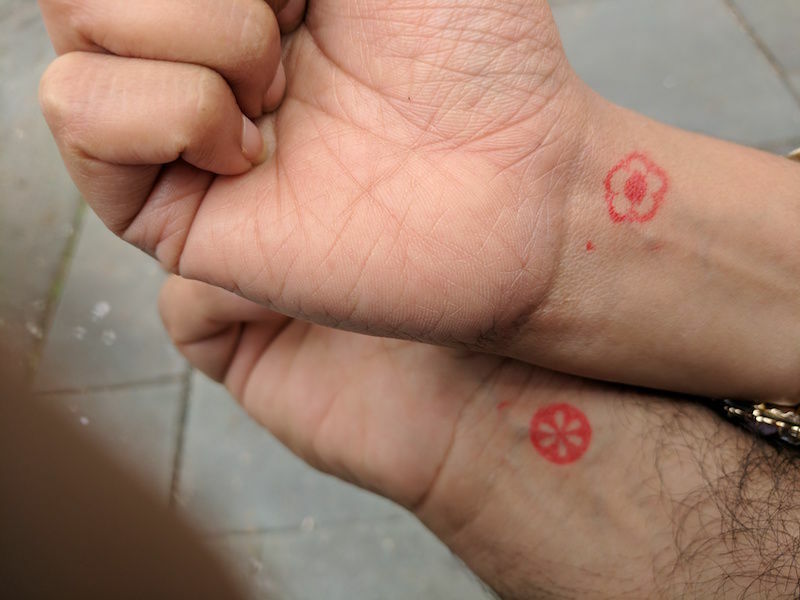 We had arrived by 11:30 and had to go through crowds. May be if you arrive sharp by 10, 10-30 there would be fewer crowd and you can get your sweet spot under the trees to rest and relax. I could lay here all day!